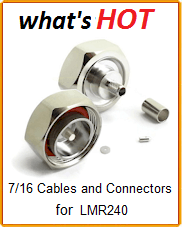 Field Components stocks common RF Coaxial Adapters. We can also custom manufacture a variety of non-standard coaxial rf inter-series adapters. Need Custom Adapter kits. Gives us a call! 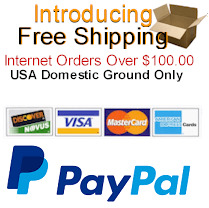 We will create RF adapter kits to match your specific needs. Specialty Adapters such as N, QN, SSMA, SMA, LT, 7/16 Din and 1.0/2.3 available from stock. 52 Connector Series with custom designs per your requirements. Available in Brass and Stainless Steel with Plating Options such as Nickel, Black Oxide, Olive Drab Cadmium, Gold and Passivated. LT Adapters can ship from stock for fast delivery, Field Components LT Adapters are part of 250,000 standard and custom RF products. LT Adapters have exceptional performance and reliability. 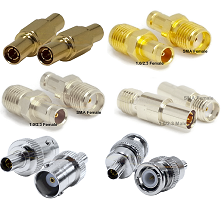 MCX Coaxial Adapters for in series ans between series connector combinations. QMA Adapters from Field Components in stock. QMA Adapters can ship same day from over 100,000 stocking components for RF, microwave products available for same day shipment. QMA Adapters for same series and inter-series connector options available to ship worldwide. We QC our Bias Tees and Times LMR 400 and LMR100 delivering a perfect product every time. SMA Adapters can ship from stock for fast delivery, Field Components SMA Adapters are part of 250,000 standard and custom RF products. SMA Adapters have exceptional performance and reliability. We can produce custom QMA Adapters, LMR200 and Type N Attenuators to your spec. SSMB Adapters can ship from stock for fast delivery, Field Components SSMB Adapters are part of 250,000 standard and custom RF products. SSMB Adapters have exceptional performance and reliability. Bias Tees priced to sell. 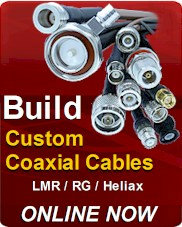 We can custom build MMCX Connector, Coaxial Cable and LMR 240.